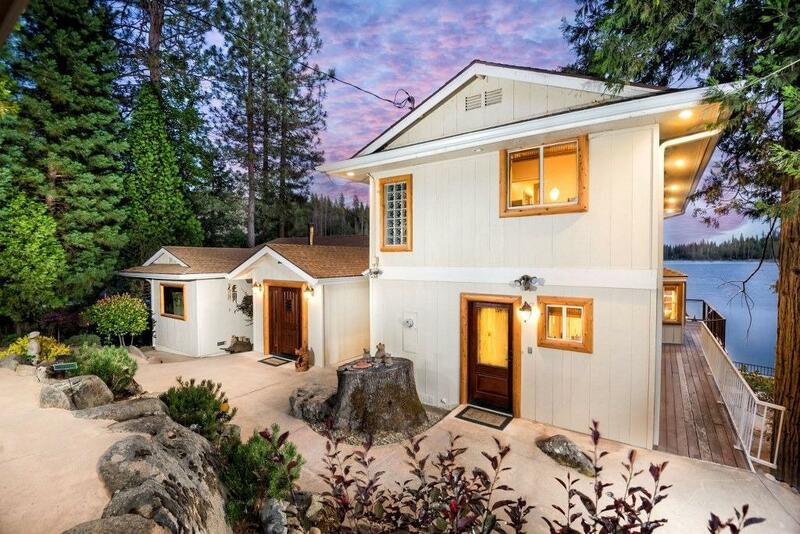 This Captivating Bass Lake Lakefront Home is located in the Exclusive Willow Cove area at one of the West's Best Lakes'' (Sunset Magazine). Just 14 miles from Yosemite & 2.5 hrs. from Silicon Valley. Custom accents adorn every room of this stunning remodel. 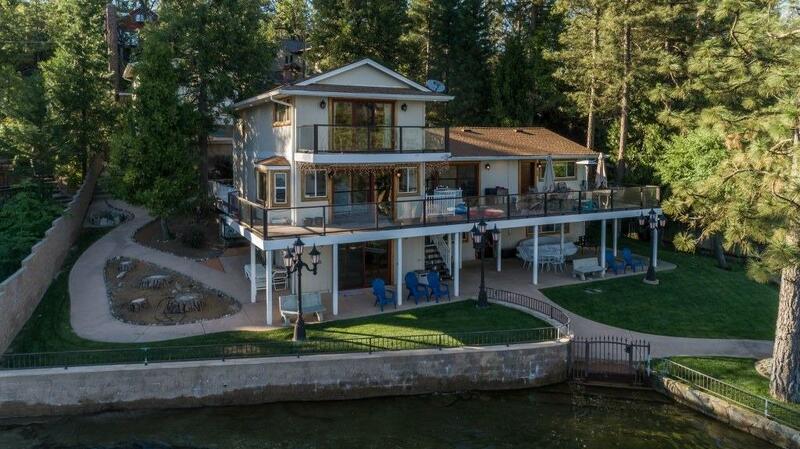 Amazing lake views from every window, deck & patio! 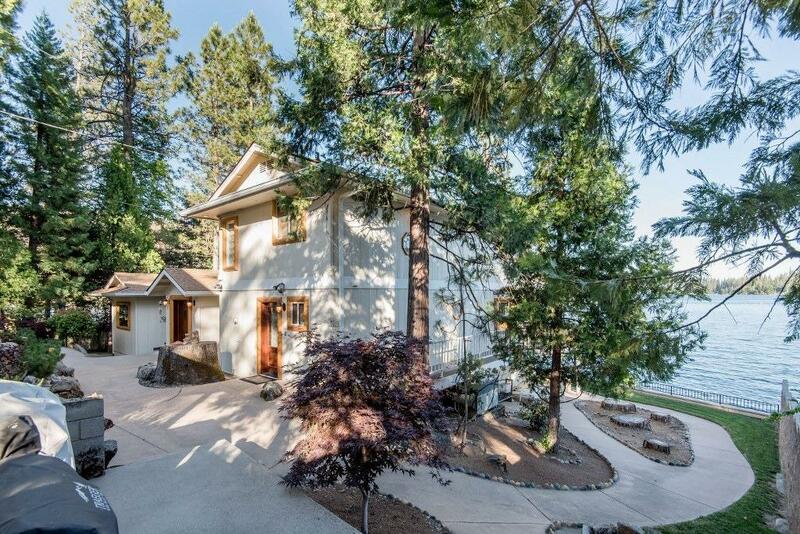 Vaulted ceilings & architecturally designed inside & out to complement the outdoor surrounding mountains & lake views. There is an incredible wine room & great room opening into the dining room. The gourmet kitchen is fully equipped w/high quality amenities, Granite counter tops, 2 sinks, 6-burner stove top range, ice machine, 2 refrigerators & commercial grade Stainless Steel appliances. Lg. bonus room on the lake level w/a wet bar for entertaining, a fireplace & sliding glass door leading out to a beautiful gazebo & green lawns. 2 garages, for golf carts & rec. vehicles + extra parking. Situated on a lg. 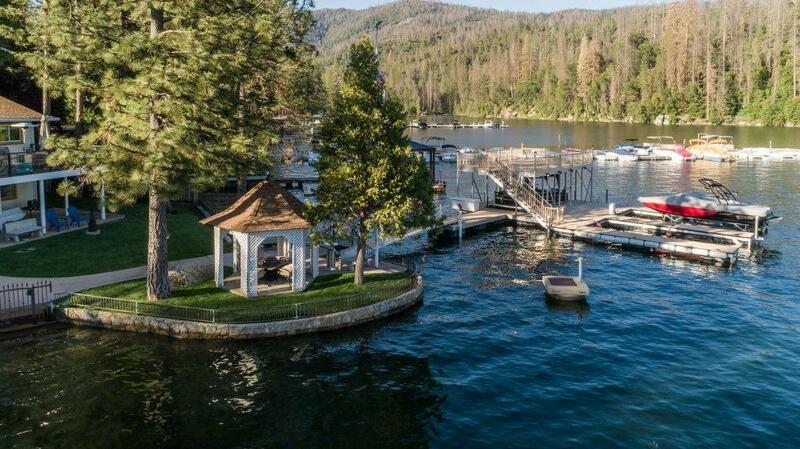 lot that juts out into Willow Cove w/ a great private boat dock & beach! Listing provided courtesy of Mary Rogers of Century 21 Ditton Realty.